The Highland County Youth Philanthropy Council announced the availability of $20,000 in competitive grant funding for organizations addressing the community needs of Highland County. The Community Foundation established its Youth Philanthropy Program 10 years ago. 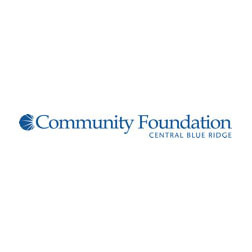 Given the unique characteristics of the Highland County community, the Community Foundation also established a Highland County Youth Philanthropy Council in 2015 in an effort to provide opportunities for local youth in Highland County to gain leadership, consensus building, philanthropic, and decision-making skills, while supporting their community. They have so far allocated a total of $25,000 to organizations supporting their community. This coming year they will present grants totaling $20,000 to nonprofit organizations that either serve Highland County or are planning on expanding services into Highland County. Childcare located within Highland County. Members of the HC YPC consist of ten students (9th-12th grade) from Highland County. The 10 members (9th-12th grade students) of the HC YPC will review each application and evaluate it based on its effectiveness at addressing the priorities listed above. Their ultimate goal is to support local nonprofits in their work, fill current gaps in community resources, and spur innovative approaches to solving longstanding community problems. Applications for projects of all sizes are encouraged, but the minimum award will be $500 and maximum award will be $7,500. The deadline is Friday, February 1st at 5:00 p.m. EST. A link to the online grant application is available at www. cfcbr.org/youth-philanthropy-council/.